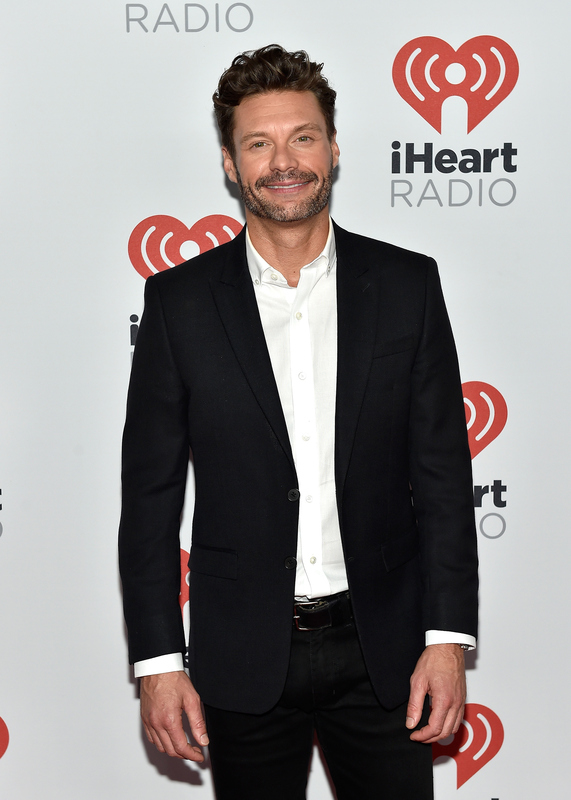 While Ryan Seacrest is always on the other side of the Red Carpet, interviewing stars on what they're wearing for the evening, It's no secret that he's one dapper dude. So it's no surprise that at the 2015 Emmys, he was wearing one of his suits from his collection, Ryan Seacrest Distinction, and gave the crowd a little flash of his own label inside his suit jacket. While we've seen him in his casual wear in a pair of jeans and T-shirts, he sure knows how to clean up. His line actually came out in 2014, and Macy's picked up on the launch, carrying the collection in 180 of its nearly 800 stores, according to The Wall Street Journal. His collection is filled, of course, with slim fit suits. But that's not all you'll find — belts, dress shirts, vests, and an array of ties are also available. And that's just what he does with Ryan Seacrest Distinction. For those of you wondering where you can shop it... well, at Macy's of course! Since it's carried only in certain locations, it's best to find the items on Macy's website in the Ryan Seacrest Distinction section. The online shop has over 200 items in countless color variations. Love these separates together, especially with the dark brown shoe. And now, the classic tux. Pretty sharp, no? Of course, the line has its own website, where you can read more about his color matching system, which helps men and women match colors in an aesthetically pleasing way, putting together a cohesive outfit. Pretty handy tool that applies to all clothing, not just suits, if you ask me. Next time you're in the market for a suit like Ryan's, head over to Macy's!